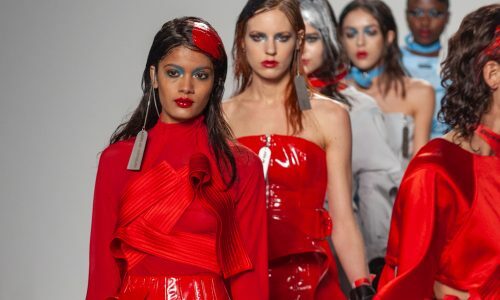 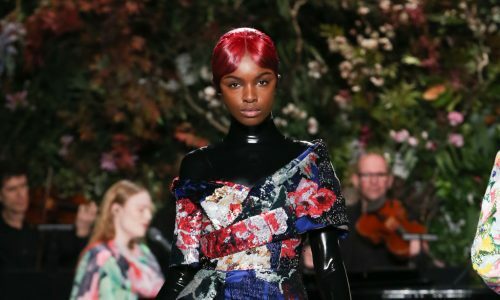 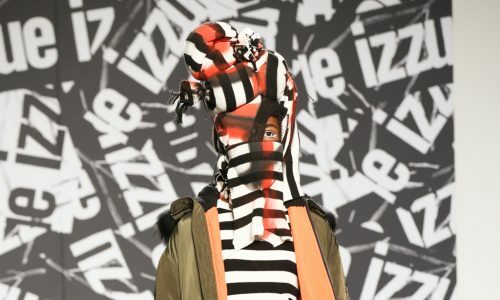 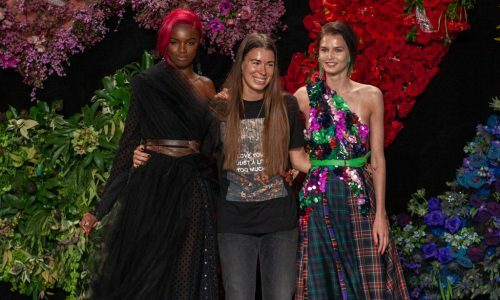 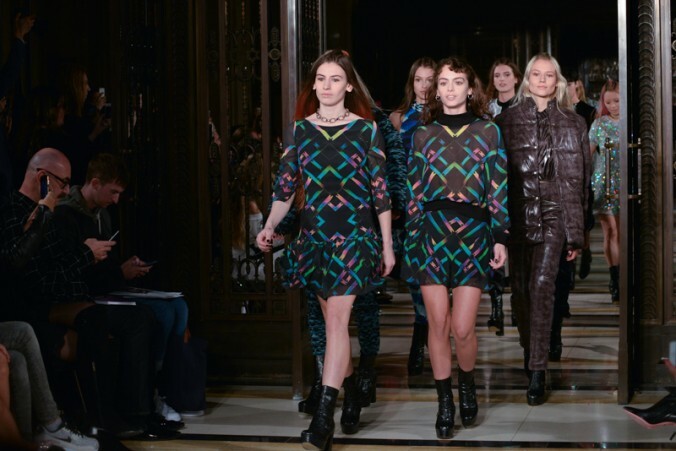 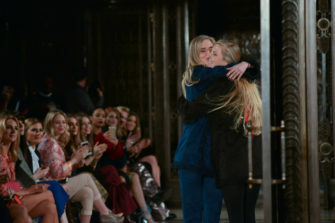 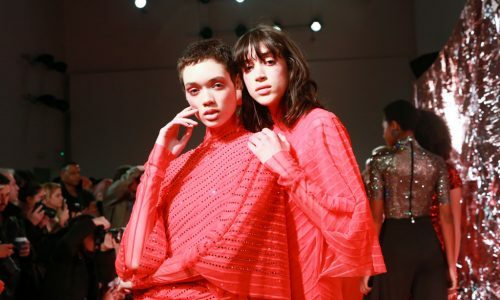 Known for their bold but sensual aesthetic, the Felder sisters stuck to their guns this season and delivered another quirky collection. 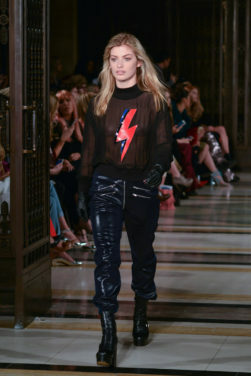 The inherent rebellious streak seemed to seep out of the garments and into the models as they stomped down the catwalk with to the punk beat. 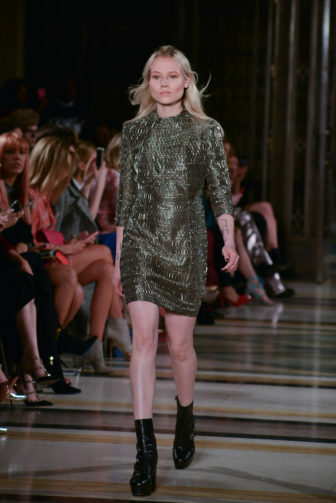 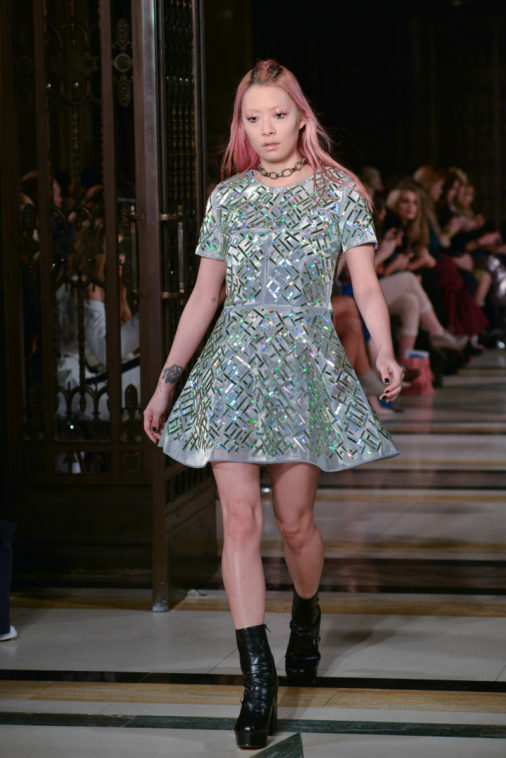 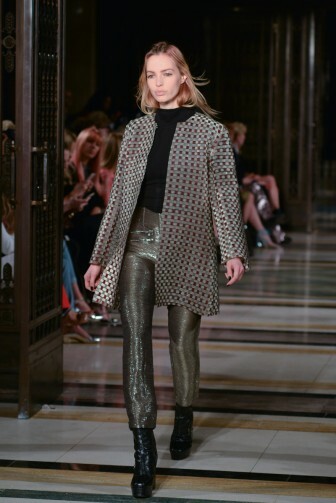 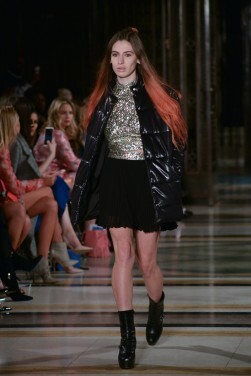 An abundance of sequins and thigh grazing hems told us glam rock was a key player in this collection, and was later enforced by a pair of disco pants, worn with a matching sparkly blazer. 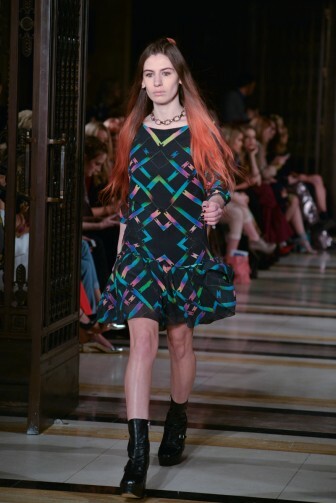 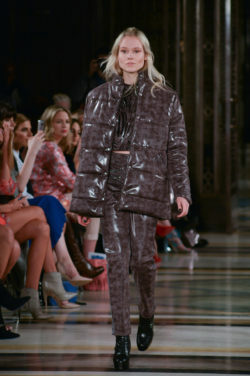 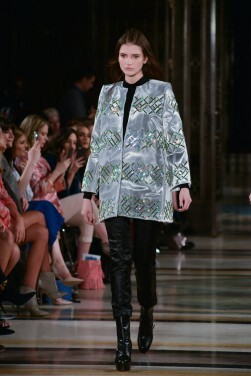 A few sports luxe elements fused the collection together; a shiny PVC puffer jacket here, a sheer cropped top there. 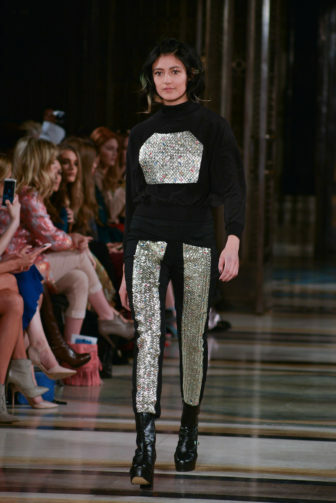 Jogging bottoms had gold sequin panels the full length of the leg and the skin tight bodysuits in blue/white/purple geometric prints wouldn’t have looked out of place in an 80s workout tape were they not paired with black patent ankle boots. 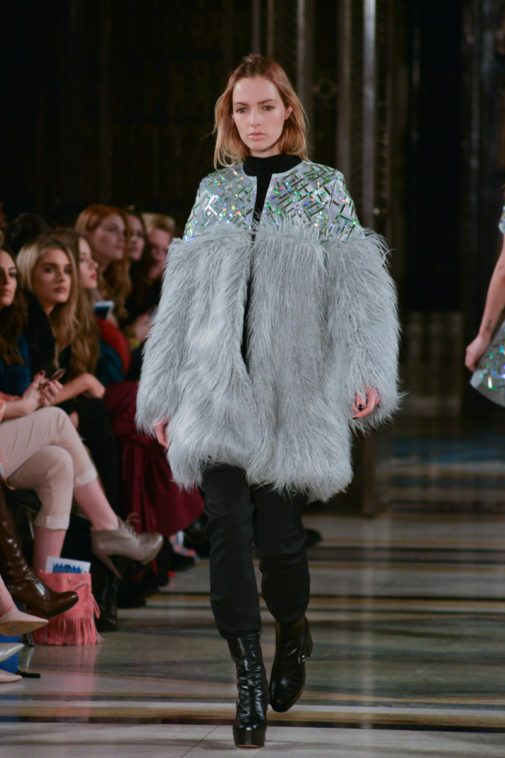 Finally, coats with plush fur collars and cuffs and deep-pile velvet skater dresses topped the collection off with a little winter cosiness. 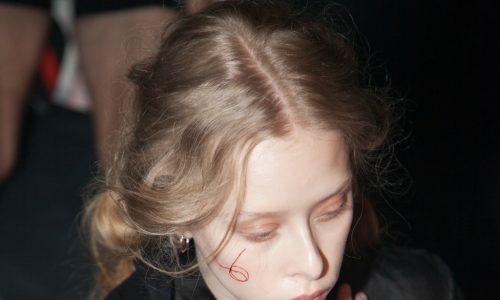 The overall effect of the clothes, matched with the grungy make-up and distressed hairstyles, was a very mismatch party-girl vibe. 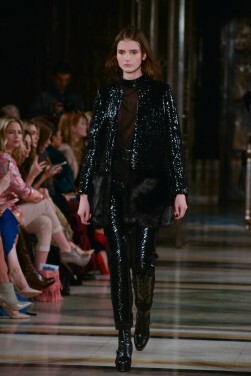 Let’s just say Felder Felder know exactly who they are designing for.